In the lead-up to the release of my forthcoming collection, Little Digs, next year, the excellent folks at ChiZine Publications are doing a new release of my first collection, the World Fantasy Award nominated Bluegrass Symphony, in e-book format — and Vince Haig has made this ABSOLUTELY PERFECT AND AMAZING new cover for it! You guys, I love this image so much that it is taking all of my self-control not to just post this entire update in all-caps. But for now I’ll try to maintain some semblance of dignity… Ah, who am I kidding? THE TONE, THE COLOUR, THE CREEPINESS, THE FONT — IT’S PERFECT. VINCE HAIG IS A GENIUS. Info about ordering the e-book will be on the CZP site here. 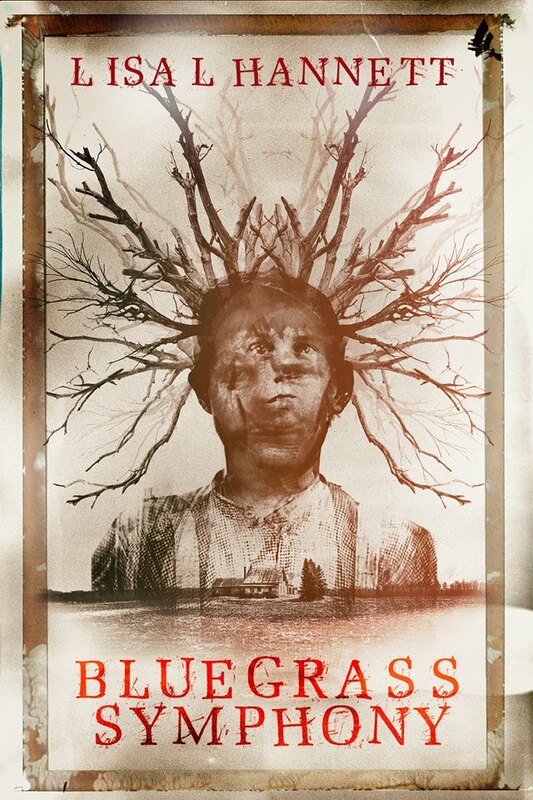 I couldn’t be happier to see Bluegrass get another release, and with such amazing publishers and cover artists on board, I’m over the moon! Nominated for a World Fantasy Award, Bluegrass Symphony is Lisa L. Hannett’s debut collection. In these twelve stories, shapeshifting is both a bootlegger’s skill and a twig-wife’s cruel punishment. Desperate deals are brokered between woodsmen and minotaurs, fae creatures and midwives, soul-smoking mayors and pegasus-riding delivery girls—for safety, as well as selfishness. These are tales of the superstitions, dreams, nightmares and realities of life in harsh prairie country, trailer parks, and deep woods teeming with wolves. They tell of revenants and cowboys, pageant queens and rednecks, soothsaying fowl and talking squirrels—and the magic that draws such strange folk together. Tags: art, bluegrass symphony, brett savory, chizine publications, cover, CZP, ebook, sandra kasturi, short stories, vince haig, world fantasy award. Bookmark the permalink.